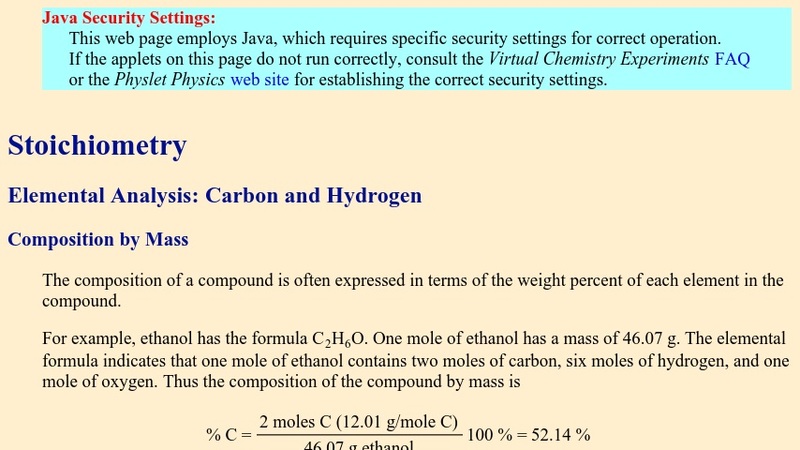 This site provides a useful tutorial for applying principles of stoichiometry to determine the per cent composition by weight of carbon and hydrogen in unknown compounds. This information is then used to determine the empirical formulas of the unknowns. The empirical formula and molecular weight of the unknown compounds are then employed to determine the molecular formula.